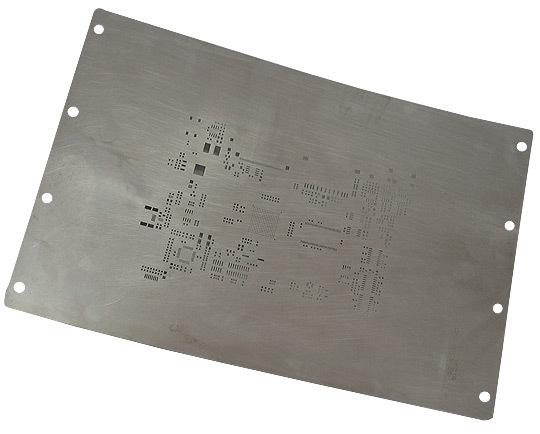 Chemical etched stencil on Stainless Steel 150 um thickness. min. opening 230 um, no restrictions for the number of apertures and pads.